As expected, all Green days for Ozone. 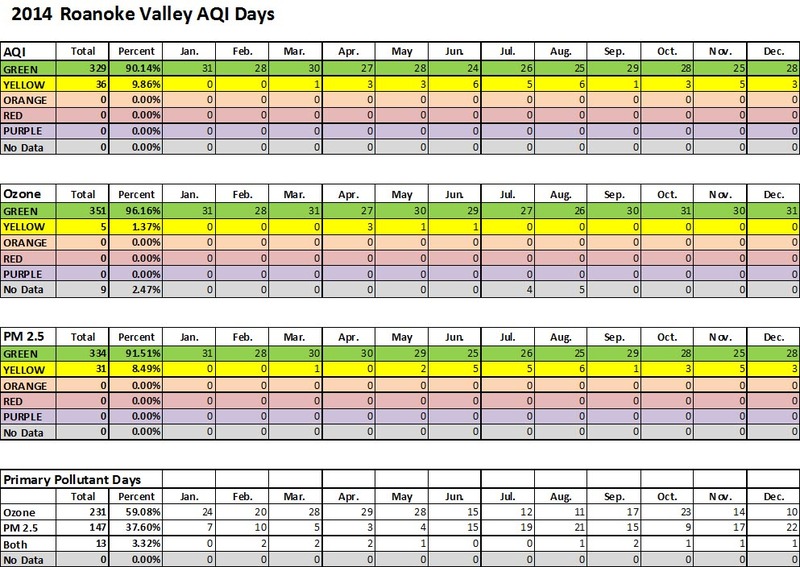 There were two moderate, yellow days for PM 2.5 in the middle of the month. However, both were just over the Green, Good category.